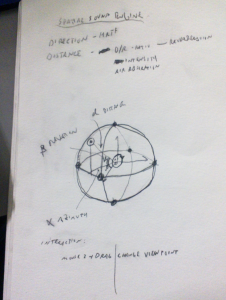 I plan to implement a headphone based spatial sound engine. The user will be able to place sound sources into space around the user and to change the viewpoint. The sound sources are visible. Direction and distance perception are included. The direction is rendered by using head-related transfer functions (HRTFs) from the CIPIC HRTF database. The distance is modeled by approximating the physical properties of sound. The main learning outcome is the real-time processing of sounds. 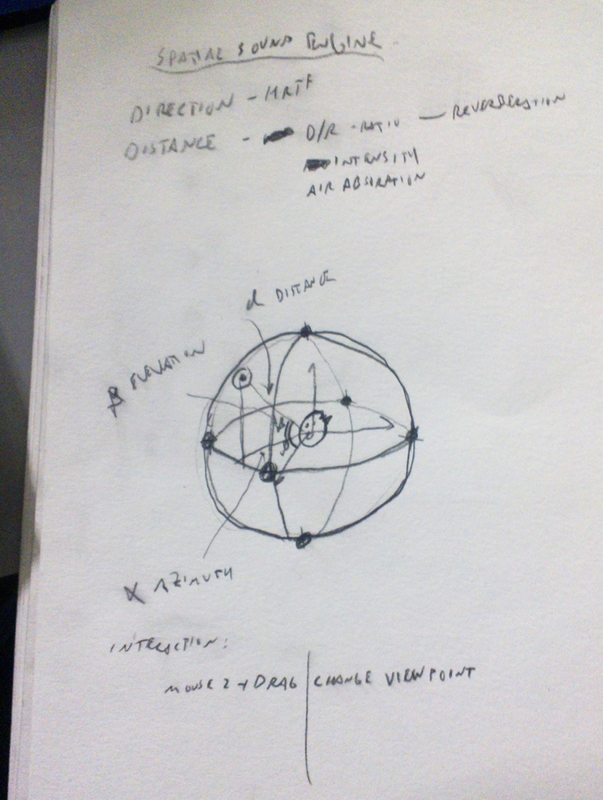 This entry was posted in Courses, Multimedia Authoring 2013-04, openFrameworks, Sketches. Bookmark the permalink.